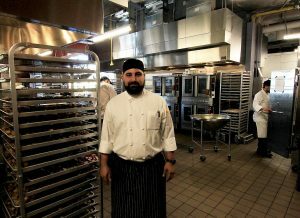 Executive Chef Marco Ballatori oversees the Geneva operation of RealEats. Company founder and CEO Dan Wise said RealEats is looking toward a major expansion at the Geneva Enterprise Development Center. GENEVA — A local manufacturer of packaged meals is hoping to eat up a big chunk of additional space at the Geneva Enterprise Development Center on Genesee Street as part of a potential expansion. RealEats America, which opened operations in the city’s KitGen — it was formerly known as the Innovation Kitchen — last summer, is looking to grow its footprint at the GEDC by a significant amount, company founder and CEO Dan Wise said. “We’re continuing to explore the possibility of expanding our presence in Geneva,” Wise said. RealEats makes packaged meals that are sent to customers’ doorsteps.